OVguide Inc is a FOTV Media Networks running from 2006 and its headquarter is located in Los Angeles, California. The site work as a search engine which allows you to access the data which are scattered across the internet. In other words, Ovguide does not host any data on their own, instead of that they use the link to the third party. The moment you search any video its crawl the Google database and pull out the best results for the users. Now you must be thinking if they pass the data which is already available over the internet then how they are maintaining the quality. The site only uses those websites which are indexes in their database. If you want you can also see the websites which are sharing the data with OVguide. Visit their website and click on video partners and you will see thousands of partner which are listed with them. The site also provides apps for mobile, iPhone, iPad, iPod, and Android to watch free full-length movies and TV shows. So OVguide is the hub of multimedia sources which is connected with thousands of entertainment sites that share quality content over the internet. The website is designed very well and has a smooth interface which allows users to easily find their content. On the site header, you will find broader categories like Movies, TV, Music, Anime and more. selecting any of the tabs will drill down your search to next level. And now you can browse the data in all genres. They also have search bar which can use to search the video directly by its name. The site is not only limited to movies and TV shows you can also browse music, fitness, comedy, education, Asian, food, games, lifestyle, technology, science and much more. How to promote your site on OVguide? If you have any site which is related to their niche you can add your website to OVguide. Just visit their website and submit your link to their submission tab. But for this, they charge $250 with your website URL and its detail description. And in case if your request is rejected they will return only 50% of your submission fee. After submitting your request their team will review the quality and quantity of your content. And a sales executive will reply to your request if your request is accepted they will add your site. And their search engine will start displaying your site in the search results. The first benefits of using OVguide it has plenty of data available which helps the user to get results on their 90% of the queries. It not only provides the quantity but also maintains the quality which is a major concern while accessing free videos over the internet. There are tons of website available but 70% of them are not meeting the quality benchmark. It is the HUB of multimedia resources. Because the site does not host any of the data and they use the third parties to display the content. Which means they bring all the best website at a single place. Which is difficult for a user to manage on its own. The site is structured very well that you can find your movie with the click of a mouse. Tabs are not cluttered which consume lots of time in searching the content. They also have an additional feature to block adult content. Just simply on the family filter and won’t see any adult add and content. 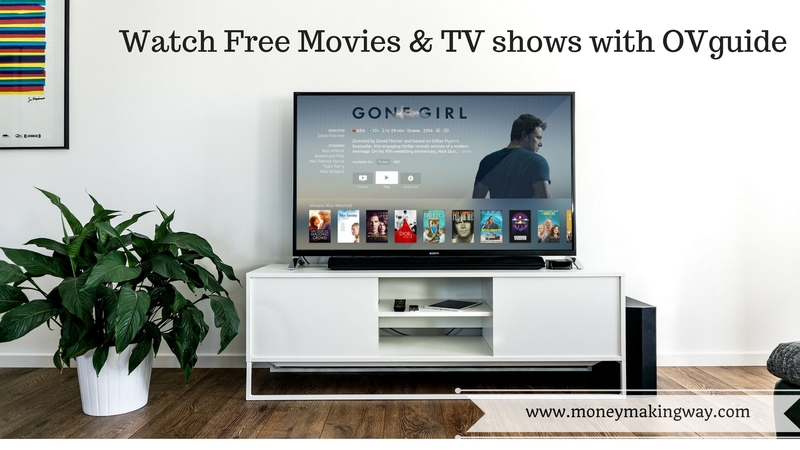 OVguide is a legit website to watch TV shows, movies, and other video content. It works as a search engine which refers all the websites who host high-quality video contents. It is not only the source of videos but also provide the platform to promote the website. As per the user, feedback site is well structured and has a high level of user satisfaction.